API providers are continually breaking new ground in securely providing valuable data to the applications that have become essential to the way we live our lives: The manner in which we can conduct so much confidential personal activity at arm’s length from the organizations we do business with, powered by APIs, would have been considered impossible even 15 years ago. Moreover, there is an increasing realization amongst both would-be and existing API providers that their organizations hold an immense amount of data that is of value to their consumers and to themselves, and these organizations are increasingly looking for ways to unlock its commercial value. In this post we take a look at the motivation for exposing data via an API and the different types of data providers can expose. Moreover, we discuss what the specific value of this data is, from both the perspective of API providers who expose the data, and the consumers who use this data when building their applications. Technical: Of course we must not forget that despite remodeling the vernacular towards a product-based view of APIs and the value of the data behind them, some API providers deliver APIs for purely technical reasons. APIs provide the most convenient and consumable way of delivering valuable data using a service that faces the Internet or allows interaction with IoT devices (which of course incorporates other valuable data sources such as sensor data). There are, of course, other compelling reasons why an organization may choose to expose their valuable data via an API. However, one fact remains true across all API providers: The data they are exposing has intrinsic value to the developers and organizations that consume it. Utility: Finally, providers can deliver APIs that offer information services useful to developers across a huge number of subject areas such as weather, currency exchange rates, traffic information and so on. Many of these APIs may be public in nature and available to anyone to use initially, but offer a freemium model with a charge for an increased number of calls. Examples vary from the Yahoo Weather API or UK Government Transport APIs. Obviously this list is not exhaustive, and there are other types of data exposed by APIs that are of value to developers. However, one fact that permeates all of these examples is there is no such thing as a free lunch; somehow the cost of exposing the data via an API needs to be recouped. So, assigning a price tag to the data provided is extremely important. Defining value is critical to ensure the platform generates a sufficient return for the provider. If you an API product owner and are trying to define its value, it’s worth exploring how an API sits within your business model to ensure it provides affordances for how you make your money. It’s important to note that some positive results may not always be necessarily monetary in nature, but are surely valuable. Q1: Is my API my product? If the answer to this question is YES, then your API is the lifeblood of your organization and access to your API needs to be based on an all-or-nothing approach — unless you make money from the API, your business fails. Such an approach is likely to result in a subscription model, with charges reflecting measures like running costs and profit margins to ensure that the API delivers appropriate returns for the provider. Moreover, as the API provider’s market share (hopefully) expands and the number of consumers and/or calls to the API also increases, the granularity of the subscription might also become finer, with more options and price differentiation to ensure maximum market reach. An example of this tailored approach is Stripe, which offers flat pricing for low volumes and custom plans for enterprise use cases. Q2: Does the API support an existing product? Potential customers now have a new means to consume your product not previously available that enables them to be converted to new customers (either because they liked your product but not your pre-API product delivery channels, or because an API introduces competitive advantage). Both these perspectives beckon API providers to think carefully about what role their API plays in delivering a compelling product offering. Ask the following; If I charge customers for using the API itself, would my customers willingly pay to use it? If the answer is NO, then the business model for API access needs to be tailored accordingly. This means access is granted for free or through a nominal charge built into the charges for a premium product plan. Q3: Do I care whether I make money from my API? If the answer is NO, your program could leverage intangible benefits such as reputation, brand marketing, or altruistic benefit. In these cases, assigning a price tag for your API becomes almost unnecessary — you are likely to make it available for free, or for an optional donation-based fee. There is obviously a huge diversity of providers who fall into this category, and their approach to providing the API at a scale appropriate to the lack of monetary return will vary massively. Your average developer will run their API on a free-to-use PaaS solution, whereas a large corporation may deliver a widely distributed but heavily rate limited API that delivers a cost-effective solution with availability commensurate with the organization’s profile. The API Economy is a diverse landscape and there are innumerable reasons why providers and consumers alike value the data that an API exposes. There are, of course other ways of making this data available by methods that could be considered less optimal, such as file transfers or screen scraping. However, when addressing a large audience APIs offer a great mechanism for offering valuable data to the right audience at the right time with appropriate security controls to ensure both ring-fenced access and safe transit. 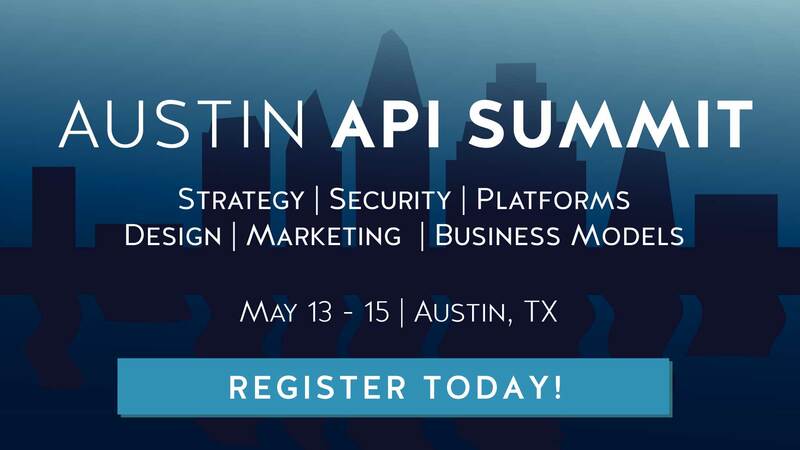 The rewards for exploiting APIs as a means of exposing valuable data is therefore likely to tempt more participants into the API Economy for the foreseeable future.